In a hospital room in Buffalo, New York, Trudy Goodman had a spiritual experience she had no way to understand. Goodman was only twenty-one at the time, and her then husband was not much older. So young, so inexperienced, they knew nothing about childbirth. 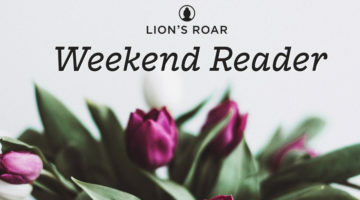 While she was wracked by contractions, he felt helpless and started to read. But it was incongruous—his book, her pain. Goodman lost her patience and told her husband to leave. For the next four hours, she labored alone. Only a nurse checked in on her every hour or so. In her aloneness, in her intense pain, Goodman discovered a “pinnacle of nowness,” she says. It was vast. It was deep. It was her realizing her connection to every being who had come before and to every being who would ever follow. Two years later Goodman was in a hospital in Geneva, Switzerland, with her university professor who was dying. There were six doctors crowded around the tiny, sick body in the bed, and Goodman found herself experiencing another profound opening. After that she started searching for answers, delving into the teachings of mystics and yogis. “They’d say, ‘Eat artichokes,’ ” she tells me, “they’d say this and that.” But it never felt right. Then her childhood friend Jon Kabat-Zinn invited her to a talk by the Korean Zen master Seung Sahn. “That first time I heard him speak, I saw that he knew what I knew and he knew what I needed to know,” says Goodman. The Buddha praised his female students for their wisdom and founded an order of nuns. Yet after his death, when a council of five hundred arhats (perfected saints) gathered to establish the Buddhist canon, not one arhati (female arhat) was among them. Over the millennia there have been women teachers, but seeking them out is like seeking scraps. While Buddhism’s male ancestors fill lists, in each tradition there are only a handful of known female ancestors. Buddhist culture, however, is not static. It changes with each culture it encounters. India, China, Tibet, Vietnam—the role of Buddhist women has shifted according to place and time, and it has shifted again while taking root in the West. When Buddhism came to America in the 1960s and ’70s, it encountered the burgeoning movement of second-wave feminism. People—both women and men, both Western and Asian—began questioning power dynamics within sanghas. They began working to make chants and liturgy gender neutral, to call for female ordinations where they had previously been denied, and to encourage women to assume leadership roles. Today in the West one of the most celebrated Buddhist teachers is a woman—Pema Chödrön—and there are a host of others who are likewise making a significant contribution to the dharma. Among them are Trudy Goodman, Roshi Pat Enkyo O’Hara, and Lama Palden Drolma. 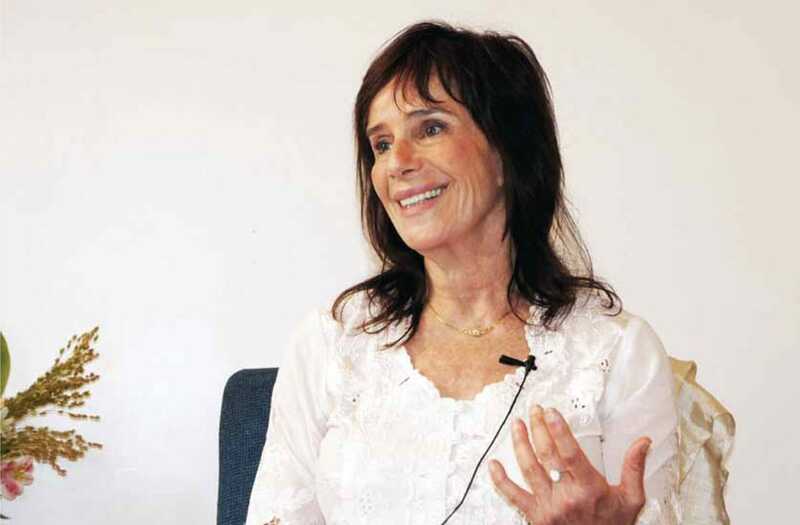 “As a woman,” says Trudy Goodman, “I’m very interested in the integration of sexuality and relationship in dharma practice.” Photo by Tracy Frank. Goodman found the teachings that sprang up after the time of the Buddha to be the most problematic. For instance, meditation instructions for working with desire became misogynistic over the centuries. The Buddha taught us to imagine what we’d find if we peeled off our skin—to imagine the red mess of our blood, liver, kidneys. The idea was that if we mentally dissect our body, we will cut through our attachment to our own physical form and by extension to the physical form of others. Later teachers, however, sometimes gave instructions to imagine the body of a woman stripped of skin, so it was her disgusting guts revealed, not the male meditator’s. The view of women as sinful and impure served the monastic community, says Goodman, because it helped monks maintain their celibacy. “It’s a rich area of practice to look at how our gender and sexual orientation affect our perceptions and how these perceptions affect our relationship to the teachings,” Goodman tells me. Very often, she says, sexuality is outside of our awareness; we compartmentalize it. But we can look deeply at our thoughts and actions, and our mindful awareness can encompass our sexual behavior. Do we exempt our sexual fantasies when tracking the ways that attraction, aversion, ignorance, and delusion are affecting our practice? How do we integrate our practice into our relationships? And even when we’re in a celibate phase of our lives, are we aware of how we react to manifestations of sexual behavior in art and the media and have we made peace with our own past behaviors? “I think it changes the way communities function when there’s female leadership,” says Roshi Pat Enkyo O’Hara. Photo by A. Jesse Jiryu Davis. 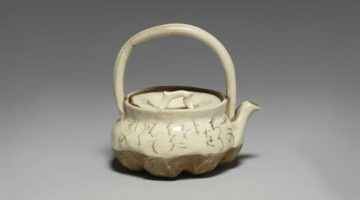 In 1986, O’Hara co-founded the zendo with her partner, Barbara Joshin O’Hara. The couple had been practicing at Zen Mountain Monastery in the catskills but they wanted a place to sit in the city as well. So it wasn’t “a center” per se that they set out to establish, just a community of people who would support each other in their practice. Nonetheless, the community grew exponentially and O’Hara’s teachers encouraged her to make it a more formal center. O’Hara complied. Yet, in terms of organizational structure, the original flavor of the sangha has remained. The sangha began as a community effort and this is still true. That’s not to say, however, that the Village Zendo is without leaders and decision makers; all organizations need these roles fulfilled in order to function, and the zendo is no exception. O’Hara is the head teacher, but five other teachers work closely with her on teaching strategy, and each teacher—including O’Hara—has just one vote. “I respect them and they respect me,” she says. But “they can vote me down—and have.” The zendo also has a democratically run executive committee and a board to deal with the administrative functioning. This relatively flat organizational structure reflects O’Hara’s political philosophy. In her career as a professor, O’Hara was likewise concerned with power differentials. For twenty years, she taught at New York University’s Tisch School of the Arts, where she co-founded a program called interactive media. At the time of its founding, before the age of the Internet, it was revolutionary. In the beginning the program focused on using split-screen televisions as a way for people to talk to each other. Later O’Hara worked with other marginalized populations, including kids in a drug treatment center to whom she taught videography. For people with drug issues, particularly those dealing with addiction to crack and other hard narcotics, the ability to pay attention has been eroded. In order to interview one another or to hold a camera, O’Hara’s young students first needed a certain level of attention, and so she taught them meditation. They started with a minute or two of trying to follow the breath and built up from there—the incentive of getting to use the camera keeping them going. “I loved that project,” says O’Hara. “In the beginning the kids just talked. They didn’t know how to do an interview.” But in the end they learned to listen to one another. Another major element of O’Hara’s work at NYU was to mentor new artists—to help students enrolled in the school to develop their voice in media. Today mentoring continues to be important to her. Her focus has shifted, however, to nurturing a new generation of Buddhists engaged in social issues. One example is that she is the spiritual director of the New York Zen Center for Contemplative Care (NYZCCC), a non-profit that offers a Buddhist chaplaincy Program and provides direct care to the sick and dying. 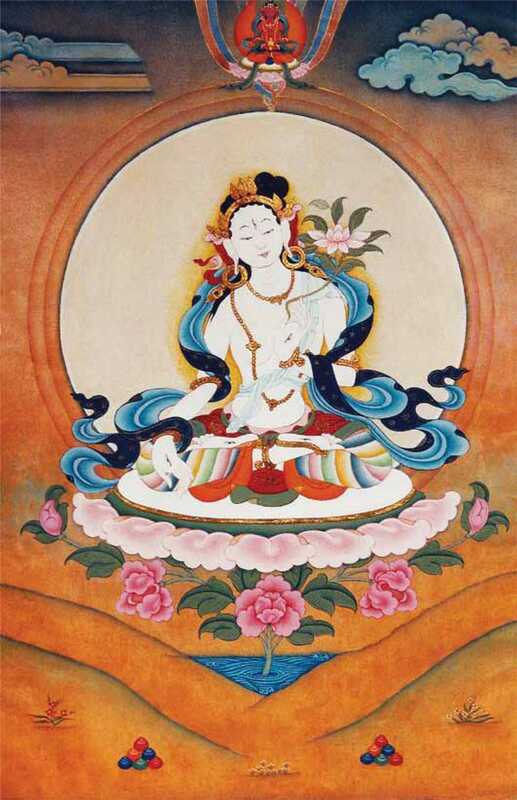 Lama Palden Drolma feels the Virgin Mary, Guanyin, Buffalo Woman, and Tara are all faces of the same enlightened feminine energy. Photo by Andrea Roth. In her early twenties, Lama Palden Drolma liked to go to a ramshackle garden in her Californian neighborhood. There, she’d stand facing a statue of the Virgin Mary and pray for help in finding her true teacher. As long as Drolma could remember, she’d been on a spiritual path. She says that even at age three she had powerful dreams of her past lives—dreams that reminded her of her purpose for this lifetime. Growing up, Drolma was uncomfortable in America. She lived with her family in an affluent neighborhood in the Bay Area, and on the surface the lifestyle was picture perfect, yet the beautiful houses and high-powered jobs didn’t create happiness. In her early teens, Drolma began to feel an intense spiritual longing. In high school, she studied comparative religion and in university she delved deeply into Zen, Esoteric Christianity, and Sufism. Then, when Drolma was twenty-five, a Sufi friend took her to a talk by the Tibetan Buddhist master Kyabje Kalu Rinpoche, and Drolma immediately recognized him as her teacher. That night she took refuge with him and six months later she moved to his monastery in the Himalayas. Conditions there were rough. “If you washed your clothes—which you had to do in freezing cold water—and then you hung them up in your room, after ten days they would still not be dry,” she says. The fog was that thick. As for good food and hot baths, they were a bus-ride away in Darjeeling. Nonetheless, Drolma barely noticed the hardship. Being with her teacher made her feel completely at home. Kalu Rinpoche often spoke about how religions manifest in different ways, depending on the culture that gives birth to them, but all in their essence are reflections of awakened mind. This teaching resonated with drolma and she relates it to her belief in a universal awakened feminine. As she puts it, the Virgin Mary, Guanyin, Buffalo Woman, and Tara are all different faces of this same feminine energy. 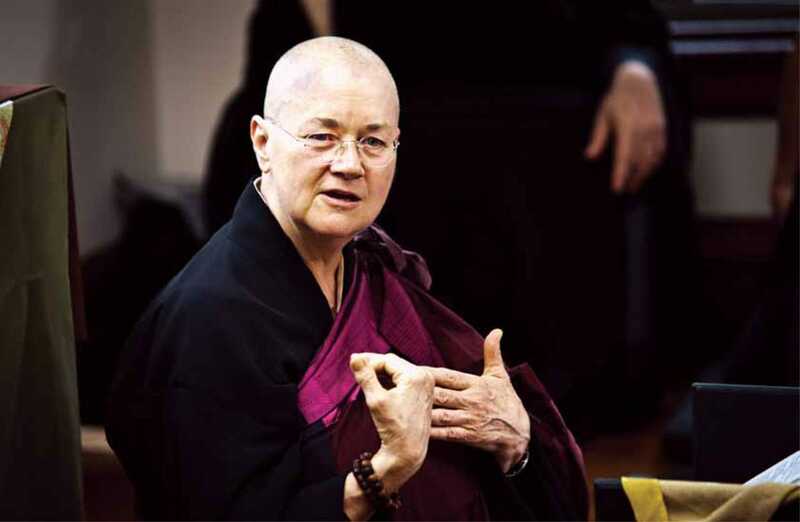 A year after the completion of the retreat, Drolma was authorized as a lama, or teacher, making her one of the first Western female lamas in the Vajrayana Buddhist tradition. 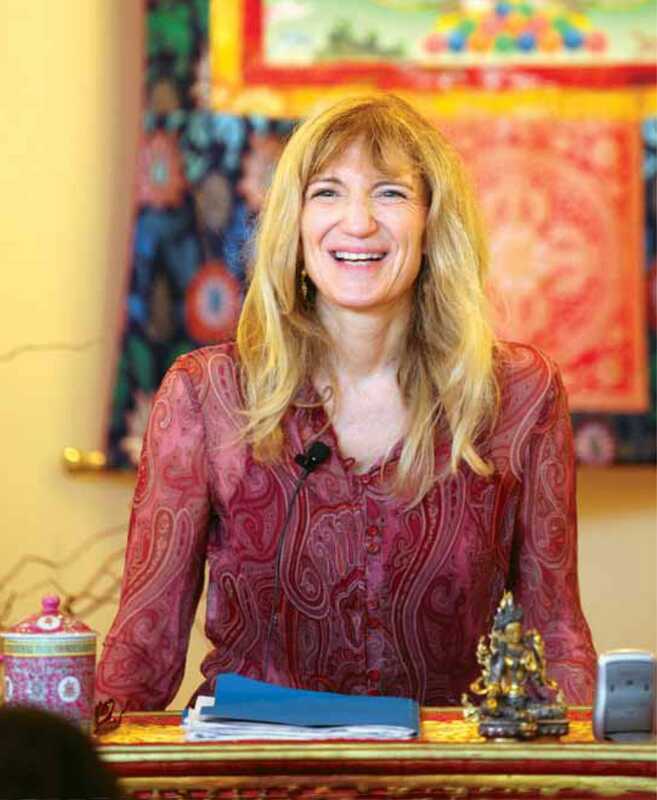 She moved to Marin County, california, and began teaching in her living room. But her students quickly outgrew the space and in 1996 she founded Sukhasiddhi Foundation, a center dedicated to the study and practice of Tibetan Buddhism. According to Drolma, there’s a difference between rinpoches who have a lot of realization and what she calls the “middle management lamas,” who aren’t as realized and are more culturally bound. The highly realized rinpoches, such as the Dalai Lama and Kalu Rinpoche, tend to treat women students with respect and they’re willing to abandon some arguably sexist traditions. The example Drolma offers from her own experience is that when she was in the Himalayas there were certain sacred rooms where women weren’t supposed to go. But the high masters simply said, “Oh, you can come in,” and they allowed women to live in the monasteries and study. Drolma is grateful for all the support she has received from her male teachers, but in her opinion women also need women role models; that is, they need to have women teachers and—even more importantly—to see that there are women who are highly realized. “My generation,” says drolma, “found women role models in history, and sometimes in the flesh, but that was rare.” For women to really feel that it’s possible for them to attain deep realization in this life, they need to know that there are women who have awakened before them. 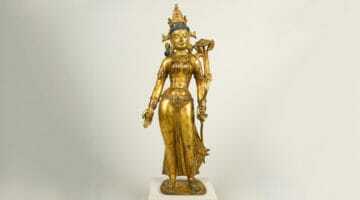 The Buddha asserted that there is neither male nor female, and ultimately this is true. Yet on the ground—at the relative level—there are women and there are men. Beyond just having different bodies, we are socialized differently and accorded different roles and privileges. In myriad ways these factors determine how we experience the world and by extension how we experience the spiritual path. So while both male and female teachers can speak on the universal human experience, women can also have a unique perspective that can be helpful to both male and female students. That’s not to say that women teachers are better than male teachers or vice versa. There are simply different ways of expressing the dharma. Recently, a man approached Drolma after hearing her teach. He was full of emotion. After years of studying Buddhism with male teachers, he was deeply touched by her unique expression of the dharma. She had helped him finally understand the very heart of the tradition.